Writing a book is a dream of many writers and even of non-writers. All of us have many ideas in our mind that we want to share with the world. 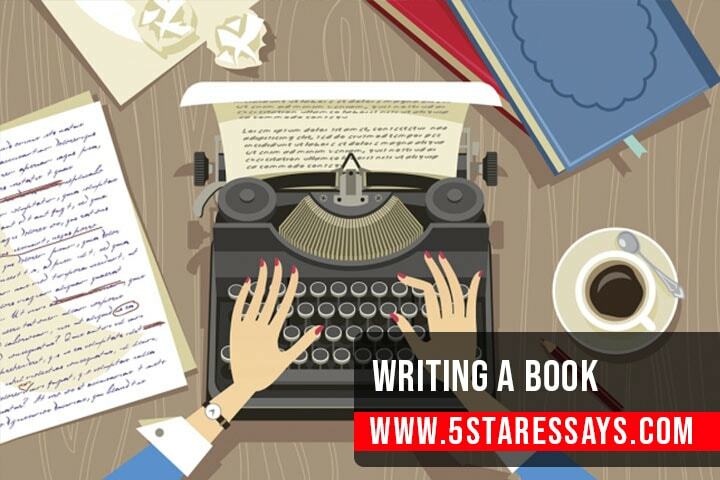 The book is a great medium for writers to express the opinions, views, and thoughts. Sadly, many writers feel intimidated by the word requirements of the book. The idea of writing hundreds of pages regarding few important thoughts in the head; is exhausting. But believe me, it’s not that hard. Book writing is a very rewarding and uplifting experience. On one hand it gives you a sense of accomplishment, and on the other hand, it gives your ego a good boost, every time someone talks about your book or introduces you as book writer. Book writing is not like writing an essay for fun. But is something serious that requires deep analysis and long nights of hard work, rivers of blood and sweat to craft a unique representation of writer’s thoughts. In the end when you look at your book cover and think “I wrote it, it’s mine.” This feeling is euphoric. A good book is not the one that just gets published. Yes, I know getting a book published is also hard. But creating a buzz about the book is hardest. One of the biggest success for any book is that the audience is ready to kill to get the copy of your book. Yes, it’s a little too much for beginners to dream of. But you need to set bigger and higher goals for your book so that you can land somewhere under the higher book club. In this article, I will give you amazing tips that you can incorporate in your book writing habit. Needless to say, these tips will change the pattern of your writing, and this will be a good experience. So don’t stop here and keep reading. And you will benefit from this article. Trust me it’s not one of those unrealistic articles that claim to make you an amazing writer in two weeks. Or the ones that start with a cheesy line of “Write a book that sells 1500, 000 copies in two days”. Such titles are wrong and extremely misleading that give false hope to readers and are often number one reason for failure and losing spirit in writing journey. First thing first, if you are not an experienced writer or are an aspiring writer then, note that your first book will be a huge learning experience. So don’t write to gain popularity, write it to learn, to experience a new domain of writing. Simply write for passion. Write to fall in love with the content of your book. Write for the spiritual reward that comes from it. I assure you that if you put effort into it, you can write a book. Writing a book of 5000 pages, in the first attempt is not a very realistic goal for most of the writers. Start with small word number. Select the number of the page you want to write. Then know what kind of book you want to write. If it is going to be a topic based, fiction or academic? Knowing the genre of book is essential for writing a book and setting its goals. Never choose a topic that you are not passionate about. Writing about a certain topic, just because it’s famous, is not going to make your book a success. In book, writing trends don’t matter, only words matter. Yes, if you passionate about particular topic then write on it. Otherwise, avoid copying the genre. For example, a writer named Steve Scott started writing stories in the form of short books of around twenty thousand to thirty thousand words around every three weeks, but now this writer makes half million dollars in a year after writing his 55 books. So don’t lose hope, and remember, slow and steady wins the race. Planning a book is a fundamental step towards writing. Planning provides you with the outline and gives you clarity in the writing phase. You don’t have to follow the plan 100%, but you can always alter it later, whenever necessary. Write your topic sentence or main argument and then form your book around it. Everyone has a different way of writing. Some like to change places while others like to write in the same space. But there is no right and wrong way of choosing the writing place. But ideally, it is advised to write in the same place every day when starting a book. Writing on the same place gives you a sense of commitment and feeling of continuity. Always choose a place that is different from your daily activity place. Make this place special and separate. Make sure that no one disturbs you during your writing. Always follow your writing schedule let no one, disturbs you. Continuity is the key to finish your book. There is nothing horrible than rewriting a book or changing the content of it. Make sure that you have few trusted people in your loop that can proofread your work for you. These can be your friends, family members or cousins. Take help if possible. This way you will be able to get feedback before completing the book. And will save you from huge trouble. Before starting a book, write some paragraphs or few pages that tell you end goal of your book like how you want your book to look like at the end. After finishing your book proofread it again and again. Once you are satisfied, read the first expectation paragraph that you wrote for your book. Then compare what you have written to what you aimed for at the end. This will give you insight about the requirements that you have fulfilled and the requirements that you still need to incorporate in your book. There is nothing wrong in taking inspiration from the other writers and their work. But make sure that you don’t copy there work. Or take help from a essay writer available on several essay writing services for help and guidance. We are here for you as well. Click on the chat option to talk to our support representative for further guidance. Even if, your book doesn’t get approved by the publisher keep writing! As no one has ever become a book writer in a single attempt or a day.